The AoC have delivered an ultimatum to UCU: end the disputes over the 2017/18 pay claim or we will not enter negotiations over the 2018/19 claim. UCU national officers are united in condemning this decision and call on all members to send solidarity to all those branches in dispute, prepare to strike for a decent living wage and send messages of support to those colleges that are faced with mass redundancies in Hull and Bradford. Branches are being asked by FE national officers and negotiators to meet and discuss a motion calling for a ballot over the 2018/19 claim (see below). UCU has made it clear to the AoC that they will not stand by whilst the AoC once again refuse to take FE members pay seriously. It has called a national ballot of all colleges over the 2018/19 claim to start in June in preparation to hit the first week of teaching in September. FE pay has been eroded in real terms by 25% over the past five years. FE lecturers now get paid 14% less than school teachers and are at the bottom of the education sector table in terms of pay. 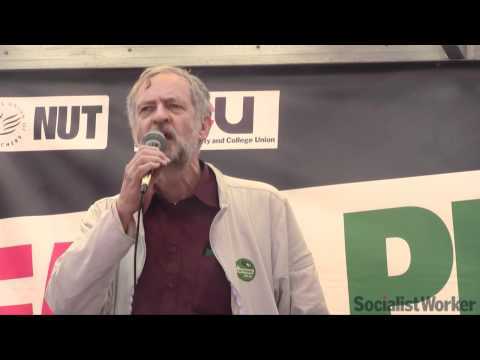 HE lecturers, secondary and primary school teachers all get paid more than FE lecturers. 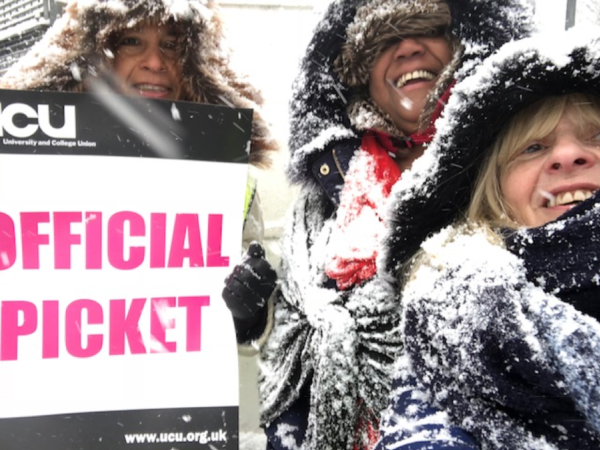 As Sean Vernell argues in the TES this cannot last ‘Winter has come for FE industrial relations – national pay bargaining mechanisms are failing’. The sector will not survive if this pay deficit is not urgently addressed. The fact that 33% of employers have awarded themselves a 10% pay rise last year exposes the lie that the money isn’t there to pay lecturers a decent rise. Clearly the strike action involving twelve colleges over the 2017/18 claim has shaken the AoC. Employers have been taken back by the levels of support for the pay campaign and the strong determination shown on strike day picket lines. Many of these college branches are in negotiations and are winning gains over pay and conditions. But none of the employers want to break from the AoC recommended pay award so most are giving one off ‘bonus’ payments ‘to hold the line’ rather agree further consolidated awards. The strikes have also been successful in opening up a real debate about the future of the AoC pay negotiating mechanisms. As it stands the AoC framework is a sham. Over 40% of employers don’t implement even the AoC’s paltry 1% recommendation. Whilst the first wave of strikes have been successful and provide a model as to how to conduct escalating strike action it will need a second wave of action involving the whole of the union if UCU is to be successful. This is why the response by UCU to the AoC’s misjudged attack is appropriate and timely. The union must realise that despite the first wave of strikes being successful, by themselves they were never going to be enough to shift the employers. UCU Left members argued hard for a national response over pay. After the indicative ballot over pay last September the spirit of the motion that was passed at the FEC calling on all branches to be balloted for action that achieved a 30% turnout or more was not followed through by the national union. Only 13 branches were eventually balloted. Eleven inside London and two from outside. It is this that has given the employers the confidence to attempt to blackmail the union. This is why UCU’s response to these attacks must be a national one. We need the kind of powerful action we saw during the recent USS dispute. Members rallied behind the union and joined in their thousands because they were convinced the union was fighting to win. If we are to launch fight against the AoC on this scale there has to be an equal determination that UCU is fighting to win. To make good on our threat then we need to throw all the union’s resources behind this campaign. From the General Secretary to Regional Officials all must be going out to the branches convincing members that now is the time to fight on pay. If we do this then we can launch a second wave of action on pay that builds upon the first wave. The prize is not only a decent pay rise for all but a national negotiating structure that is binding on all. FE pay has been cut in real terms by 25%. 33% of principals saw their pay rise by 10% last year. We believe this refusal to discuss pay for FE workers is both outrageous and reflective of how inapt and ineffective the AoC’s role has become. The FE sector needs a national bargaining forum whose decisions are binding on all who participate and one that benefits all who work in this underfunded and over-stretched sector. For the survival of the sector, FE pay must meet the growing demands of the profession. FEC send solidarity to all the branches that are in dispute over the 2017/18 claim and will ballot members nationally for escalating strike action in pursuit of the 5% 2018/19 claim.